USA/UK msg for postage quote. Blue Box, similar to Dr Who's blue box. 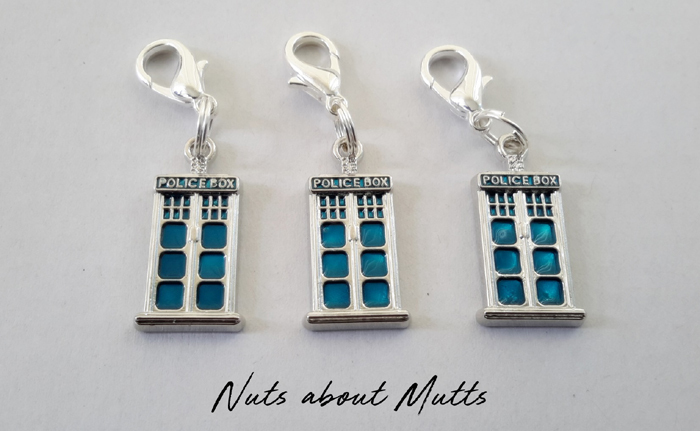 Tough and well made, this charm will be the envy of all Dr Who fans. Suitable for small dogs, cats, humans etc. Size: (Measured at widest points, excl. clasp). Length 21mm, Width 11.5mm Thickness 2.2mm Material: Metal. Per letter post without tracking (at your own risk). USA/UK per economy letter post without tracking.